Why does a Personal Injury Law Firim also handle Estates? 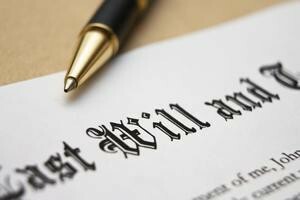 Why does a Personal Injury firm also handle Estate work? Excellent legal representation requires a diverse skill set. From a personal injury lawyer’s point of view, the most important types of actions involving a deceased person are “wrongful death” and “survival” actions. A survival action is simply a claim which a deceased person “owned” at their death. This is not limited to injury claims; it could be a simple claim for money owed. It is still called a survival action because the claim lives beyond—or survives—the death. Over the years, we have, sadly, encountered a number of situations in which a client in a personal injury case has died from causes unrelated to their injury. Despite our client’s passing, we are still able to pursue the claim. In order to do so, a personal representative must be appointed. Matters become much more complicated with serious injuries resulting in death. In these situations, the decedent likely has both a survival and a wrongful death action. In simple terms, the survival action is for damages for conscious pain and suffering incurred prior to death as well as certain economic losses caused by the death. A wrongful death action is quite different in that it actually belongs to certain heirs who were dependent upon the deceased for support, or had a reasonable expectation of support in the future. If pursued in a timely fashion, the personal representative has the authority to pursue the wrongful death action as well as the survival action, but must do so for the benefit of the wrongful death beneficiaries. One of the most important aspects of concluding a combination wrongful death and survival action is allocating the damages between them. Damages recovered in a survival action become a part of the estate and may be subject to inheritance taxes. It is therefore important to properly allocate damages in death cases so as to pay no more inheritance tax than is required by law. Of course, most estates fortunately do not involve a wrongful death claim. We are able to represent clients who are the personal representative in these more typical estate cases. In a wrongful death situation, we will also work with a family attorney who is taking care of estate matters but who may be inexperienced or otherwise unable to pursue the death claim. The law in this area can vary significantly from state to state. This discussion is limited to Pennsylvania law. If you are named as the personal representative in the Will of the decedent, or you are the next of kin to a person who died without a Will, call our office to schedule a meeting with an attorney. We will be happy to discuss your situation whether there is a wrongful death claim or not.